Happy 4th Birthday Booga! | Who Are You Calling Crafty? Today we celebrate Booga’s 4th Birthday. I cannot believe it has been four years since you joined our family. You are an amazing and sometimes stubborn little man but I love you with every ounce of my being. You love Trains, Spider-Man, Trains and More Trains. You love coloring, building, watching movies and you have a slight obsession with the Mo Willems Pigeon (which is totally okay). I love that you can sing every song from the They Might Be Giants album – FLOOD and that you wanted a FLOOD t-shirt for your birthday. Even though I get angry when you hit or shove people or Reeva, please know I still love you and I am trying to make you a better person. When I say you have had enough food for now it doesn’t mean you will never eat again, all it means is I really don’t want to have to wipe up vomit from over eating. Selfish I know but trust me when I say it is better for all involved. You are my little man, I love you very much! I am very proud to be your mommy. 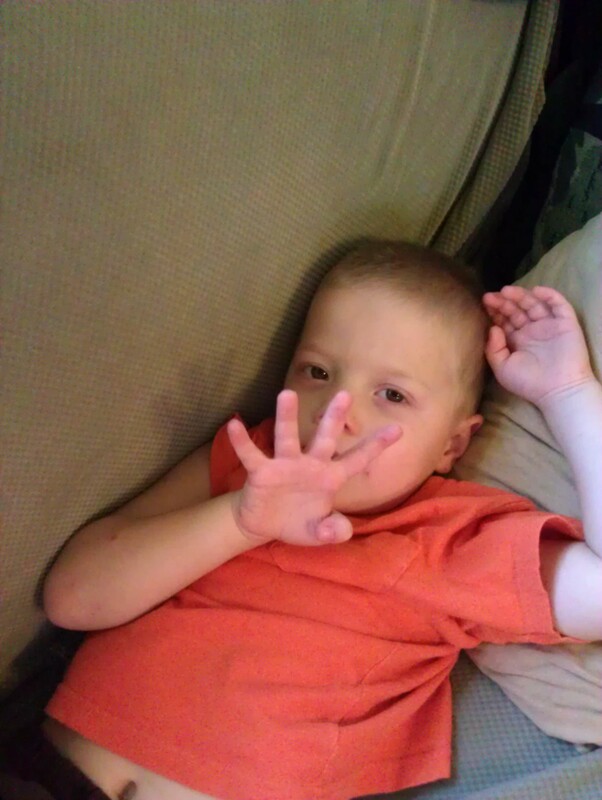 My Booga – I’m 4!